There are two ‘waterboarding’ scenes, but i think Hayes has written a book that isn’t glorifying violence in any way (something which I abhor) I feel he hasn’t gone into any unnecessary detail, like “Alex” or “girl with the dragon Tattoo”. The are moments that make you sad, upset, angry, maybe it’s the journalist in Hayes, but he tells it like it is. 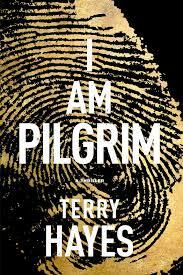 It is very similar to “The Bourne Identity” if you liked that then you’ll like this. I haven’t read “The Bourne Identity” either but I’m tempted to give this one a try – when I can fit another one in. I don’t object to graphic violence so long as it’s necessary to the story and not lovingly lingered over. I was put off “Alex” for exactly the reason that it seemed as if the violence was the main feature. My husband reminded me that the first chapter contains a graphic description, but he is now up to chapter thirteen and all is good. I was just catching back up on my Reader list and was reminded why it is so dangerous for me to look at your reviews! My TBR list is ever-growing, although, after checking out some of the other reviews, I suspect that this one might be a bit violent for my tastes. This is a bit of a paradox because I love taut, masterfully written thrillers, so I’ll have to wait until I have more time and decide then. Every time I read a review my list grows, I’ll have to start culling soon or take a very long holiday with a very big bag.